© 2018 Scratchu.com Daruvu | Ravi Teja, Tapsee Pannu, Sayaji Shinde, Brahmanandam, Raghu Babu, M.S. 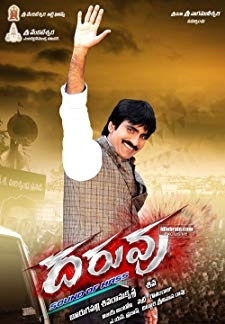 Narayana, Sana, Dharmavarapu Subramanyam, Prabhu, Sushant Singh, Vennela Kishore, Brahmaji, Meenakshi Dixit, Jayasudha, Jyothi - Daruvu (2012) | Telugu Movie | 4.9/10 | Synopsis : In Yamalokam retirement age comes from Senior Yama and he gives charge to his Son. However experienced Chitragupta is retained much to his disappointment. He decides to teach a lesson to ... ... Watch Online!! !